Having shown that the concept of a national citizen service has something to offer young people, to demonstrate value for money the OCS and the Trust now need to show they can grow NCS as intended and run it at a more affordable cost to the taxpayer. National Citizen Service has had some early successes but it is too soon to assess its long-term impact, according to the National Audit Office. Young people have been positive about the NCS experience, with 84% of participants in 2015 saying they would recommend NCS to others. External evaluations on how a sample of young people feel and perceive themselves three to five months and 16 months after the programme also show NCS has an initial positive impact on participants. It is too early to say, however, whether the programme is going to meet its long-term objectives of contributing to a more responsible, cohesive and engaged society. NCS has grown rapidly since the programme was piloted in 2011 and 2012, and an estimated 93,000 16- and 17-year-olds took part in NCS in 2016. Participation in NCS is not, however, increasing as fast as the Office for Civil Society or the NCS Trust hoped, with none of the annual participation targets being met since 2010. If the number of participants continues to increase at the current annual rate of 23%, there would be 213,000 participants in 2020-21 against an aim of 360,000. According to the NAO, the OCS and the Trust can do more to overcome the barriers to participation. Funding has been available for all those who want to participate in NCS, with the government committing £1.26bn of grant funding between 2016-20, but young people do not attend for a range of reasons. The Trust was set up in 2013 to manage NCS outside of government and with the intention of better supporting the long-term sustainability of NCS. It has taken time for the Trust to develop some of the capability necessary to deliver a programme the scale of NCS. In its first year, the Trust set up processes to manage its contracts with NCS providers and responded to poor performance. The NAO found that weaknesses in governance, cost control, and the overall management of the programme need to be addressed. During 2016, the Trust has made a number of senior appointments to bring in greater management and commercial capability. The OCS and the Trust have created a market of providers and are on their second round of contracts. 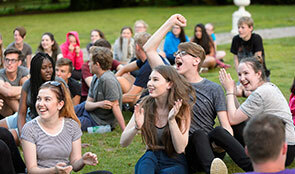 The contracts have a payment by results structure aimed at encouraging providers to fill the number of contracted places for NCS participants. Commercial terms aim to incentivise growth, but providers have not achieved the desired level of growth, and terms do not explicitly encourage them to innovate or meet all the NCS societal aims. According to the NAO, the OCS and Trust have not, so far, prioritised reducing costs, although the Trust told the NAO that reducing costs is now one of four main priorities. Today’s report found that the cost per participant to date has been higher than anticipated and needs to fall. Funding made available as part of the autumn 2015 spending review implied a unit cost of £1,562 per participant in 2016. The OCS and Trust currently expect to spend £1,863 for each of the 93,000 participants to complete the programme in 2016. The cost per participant needs to fall by 29% to £1,314 in 2019 for the Trust to provide 300,000 places and stay within the funding envelope. A focus on growth also encouraged the Trust to use certain media channels, such as television, in addition to social media. It also led the Trust to pay providers an estimated £10 million, in line with the contract, for places that were not filled. It plans to recover these costs.